When you are putting together a crafting tool kit for your rubber stamping and craft projects, a craft knife should be one of the first items you consider. While scissors can be used for many projects, if you are want to cut intricate shapes or cut with a high degree of accuracy, a craft knife will be just the thing. A craft knife is ideal for cutting paper, cardstock and also other materials such as craft foam and even fabrics. Unlike cutting with scissors, when you cut material with a craft knife you can cut with the material flat on the word surface and this gives a higher degree of precision. A craft knife has a sharp cutting blade and handle. The blade is drawn through paper or cardstock. 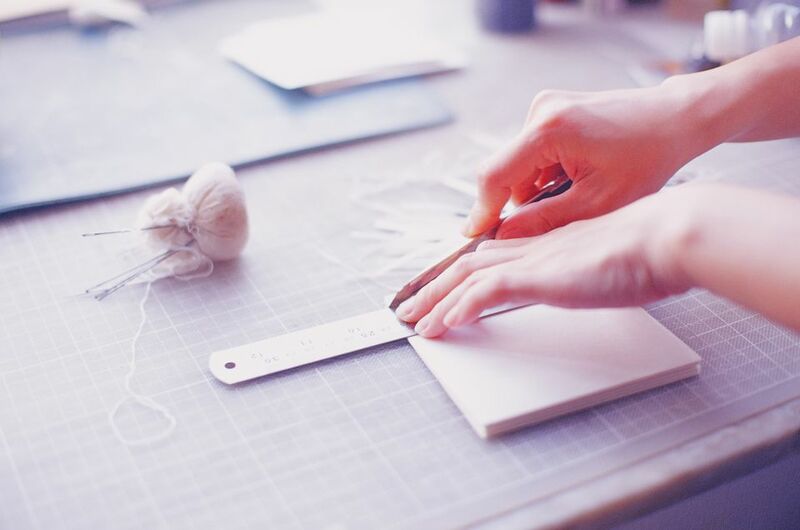 To use a craft knife the paper or cardstock must be placed on a cutting surface such as a cutting mat. This not only protects the work surface but also provides a durable surface to cut into that will not dull the craft knife blade. Most craft knives have changeable blades, therefore a new blade is fitted when the blade dulls instead of sharpening the blade. A craft knife is good for precise cutting and is an ideal alternative to scissors for many projects. It is ideal for cutting out intricate and detailed shapes. Many craft knives are held like a pen and this makes them relatively easy to use. In rubber stamping, a craft knife is particularly good for cutting around stamped images in paper piecing projects. Craft knives are readily available from craft supply stores. A craft knife is often sold packaged with spare blades and blades are also sold packaged separately. Craft knives are also widely available online. A craft knife blade is extremely sharp. Never leave a craft knife within reach of children or pets. Always cover the blade when the knife is not in use or retract the blade if you have a retractable blade craft knife. A basic craft knife will be suitable for most rubber stamping projects. However craft knives with retractable blades are particularly useful if you travel a lot with your craft knife as this takes up less space and is safer to carry. Look for craft knives with comfort grips or shaped handles if you have problems holding small items. Buy a pack of spare blades. Blades are relatively inexpensive and it is useful to always have a sharp spare blade to hand.